The New SmartMusic Is Here! The new SmartMusic is here. Because it lives in the cloud, we are able to refine it constantly. Because teachers never have to download a new version, it can be easy to lose track of how much has been improved over the last few months, let alone years. Here are a few of the highlights. Sight Reading Builder – Automates the creation of an infinite number of customized sight-reading exercises for any ensemble. Compose – Empowers you to create and edit music notation within SmartMusic. Assessment Tolerance – SmartMusic now allows you to control how strict or forgiving SmartMusic is when assessing student performances. Creating assignments in the new Smartmusic is faster than ever, whether using our efficient default settings or customizing your assignments any way you wish. The new SmartMusic is priced to fit nearly any program. We even continually update the content provided in the free version of SmartMusic. Affordable pricing, combined with a cloud-based app that works on Chromebooks, iPads, and computers, means that SmartMusic is more accessible to more students than ever before. Teachers can also set up Student-Funded classes, where students pay for their own Premium subscriptions, so you don’t have to collect their money nor find the funds. Learn more. How Are Classic and New SmartMusic Similar? 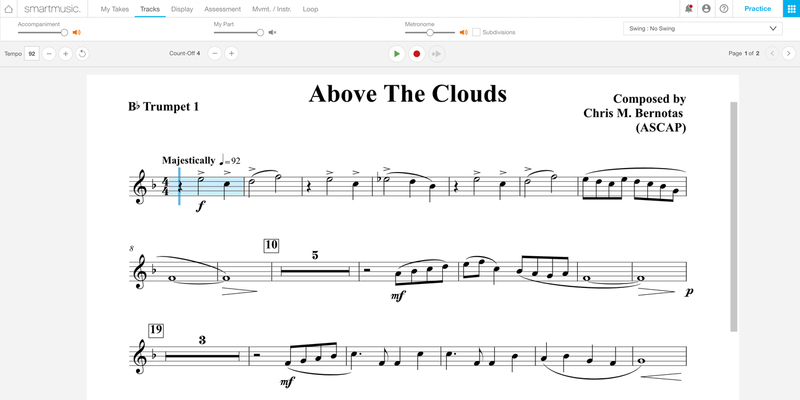 Assign any content from the new SmartMusic catalog to all your students. This includes 18,500+ solo titles, 5,000+ ensemble titles and 100+ method books for band, jazz, orchestra, voice and general education. Best of all, the catalog is continuously updated. Receive submitted student recordings and assessment scores directly to your gradebook, allowing you to complete the practice cycle with individual guidance. How Do the Two Versions Differ? Learn more about the differences between classic and new SmartMusic, and see a feature comparison chart in this Help Center article. We encourage you to view the product roadmap to view our future plans for new SmartMusic, and to add additional features to the feature request list. With support for today’s most popular devices, and accessible pricing, the new SmartMusic can help you take every student to the next level.